The Zeus Sub-Lite-Wall® tubing belongs to the Zeus family of thin-walled extrusions with wall thicknesses of 0.005" (0.127 mm) and below. 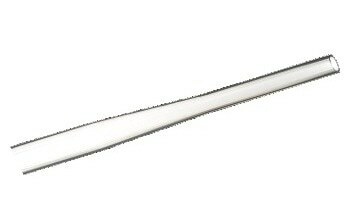 At present, the company has taken this technology even further with the Zeus PTFE Sub-Lite-Wall® StreamLiner™ series. With this product series, Zeus extends its already best-in-class wall thickness to even thinner sizes for the most advanced catheter designs possible. Making the most on this technology, Zeus’ Sub-Lite-Wall® StreamLiner™ XT tubing for catheter liners features a maximum wall thickness of 0.00075" (0.01905 mm). With Zeus’ LoPro™ technology, the Sub-Lite-Wall® StreamLiner™ XT offers the industry’s thinnest walls and carries all of the advantageous properties of PTFE. 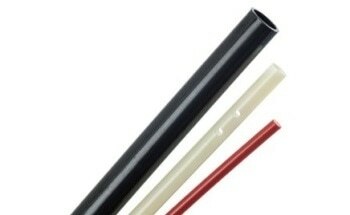 As a free extrusion, XT’s thinner walls allow better flexibility yet still offer a stronger and tougher catheter liner. The StreamLiner™ XT also results in a catheter possessing lower deployment force versus a dip coated process for whatever technology the user chose to put through it. 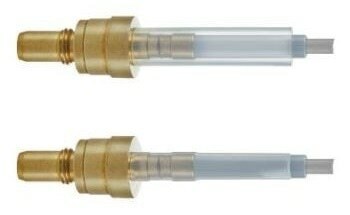 Furthermore, Sub-Lite-Wall® StreamLiner™ XT delivers a higher catheter lumen while efficiently lowering the total profile of the finished catheter. With these improvements, Clinicians can currently penetrate even smaller vasculatures using the newest micro-sized catheters. Zeus’ Sub-Lite-Wall® StreamLiner™ XT allows device Engineers to examine more advanced designs for endovascular delivery systems and continue to enhance patient care. Zeus customers are aware of the consistency and quality of Zeus’ Sub-Lite-Wall® line of extrusions from decades of effective implementation. The Sub-Lite-Wall® StreamLiner™ XT offers all of the familiar practical properties of its predecessors for seamless acceptance. The next generation of catheter design and minimally invasive therapy delivery has arrived. Zeus offers the standard Sub-Lite-Wall® StreamLiner™ XT inside diameter (ID) sizes of 0.013" to 0.040" (0.330 to 1.016 mm) with wide-ranging customization available. This product can be endlessly etched on the outside diameter (OD) or custom tip etched. The company can also tailor mechanical properties of the Sub-Lite-Wall® StreamLiner™ XT such as elongation and tensile strength. Zeus provides a higher level of customization and opportunity for its customer partners to examine new device design capabilities. Catheter Liners – As a thin-walled liner, the Sub-Lite-Wall® StreamLiner™ XT is perfect for the formation of micro-sized catheters for a variety of delivery and application options. Biocompatible – PTFE has a long and well-established history of safe use within the body. 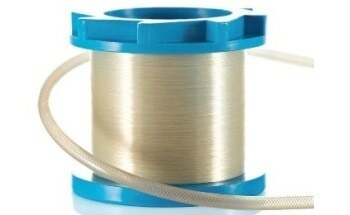 PTFE is USP Class VI certified. Extremely thin wall thickness – With maximum wall thicknesses of 0.00075" (0.01905 mm), Zeus delivers wall thicknesses that are among the thinnest available. Chemical resistance – PTFE’s completely fluorinated nature renders it inherently unreactive towards nearly all commonly encountered chemicals and bodily fluids. 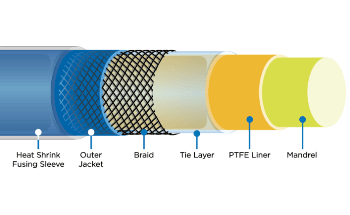 Low coefficient of friction – PTFE has the lowest coefficient of friction of any polymer resin; this trait makes PTFE exclusively effective for micro-catheter design where smoothness and lubricity of surface are a requirement. Tight tolerances – Standard ID tolerance is ± 0.0005" (0.0127 mm).